Your toddler may love fruit juice. But did you know that it can cause tooth decay? Maybe not so that's why you should read this blog post to find out how. A single glass of apple juice has seven teaspoons of sugar, which is the same as a can of coke. A smoothie also contains seven teaspoons of sugar while yogurt has four and a cereal bar has four teaspoons. Lately, fruit juices have been getting negative press. Though we know that fruit juices are packed with “natural sugar”, sugar is still sugar. The amount of sugar in a glass of fruit juice isn’t different from a can of cola, and the harm it can cause to oral health is huge. According to a study in the US, over 1,200 of toddlers age two and below has been hospitalized the previous year due to rotten teeth, many of which is due to drinking fruit juices. 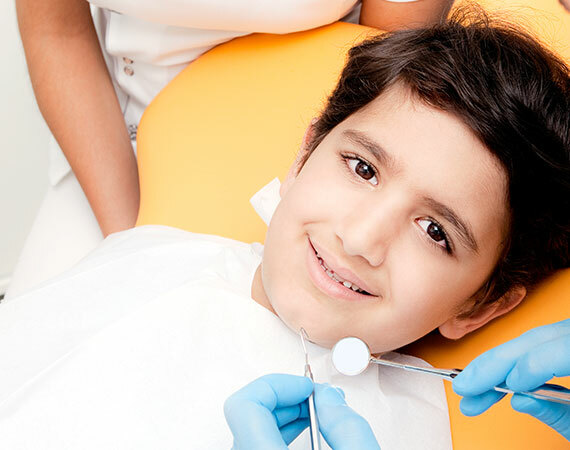 Dentists report that parents think that they are providing their kids with something healthy when as a matter of fact, the sugar content in the fruit juices are harming their teeth. A lot of these kids underwent several teeth extraction and under general anesthesia. The WHO or World Health Organization suggests that sugar intake must be limited to 10% of the total calorie intake per day due to the bad effects that sugar on the body. Children at the age of three need about 1,100 calories per day, which means that intake shouldn’t be over 5.5 teaspoons of added sugar of their daily dietary intake. This amount may seem great but the amount will likely to be cut in half by the Scientific Advisory Committee on Nutrition, controlling the amount of added sugar intake to about 5% of calorie intake. Based on the national diet and nutrition’s latest survey, kids and teenagers eat about 40% more added sugar compared to the recommended daily allowance. And the main culprits are soft drinks and juice drinks. Juice drinks that are given to infants and toddlers are just not necessary and only pave the way for children acquiring a “sweet tooth”. Water and milk are still the best options for kids. 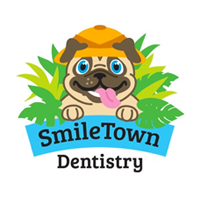 At SmileTown Dentistry, our pediatric dentists focus on educating parents and children on caring for their teeth. 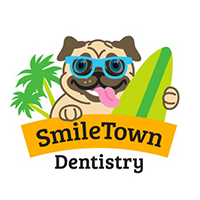 Book an appointment at any one of our three lower mainland locations.